Take control of your financial situation - access multiple loan options through one simple mobile application. 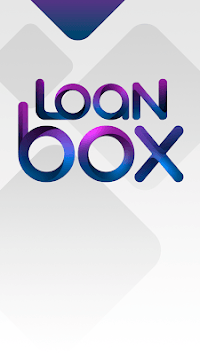 LoanBox will make your life easier and makes it possible get the money anytime and anywhere. Apply for a loan online easily and quickly with short and simple application process. Online cash loan is a quick, easy and affordable loan that can be used to address any type of short term or immediate financial needs. These loans are also called payday loans, cash advances or personal loans, and are commonly used in times where you are falling a bit short on your budget before your next payday or for financial emergencies like home or auto repairs, unexpected medical bills. Payday loans can be used for almost any expense – from paying off credit cards to financing home improvements, small business or even a much-needed vacation. Payday loans can be a convenient alternative to bank loans or high-interest credit cards, with online request forms and hassle-free automated repayment. Cash advance is like a payday loan, it is a short-term personal loan and great cash solution if you need some money before payday. They are typically paid back within a few days. Online loans can be the right solution to your short-term financial troubles because they are easily obtained. 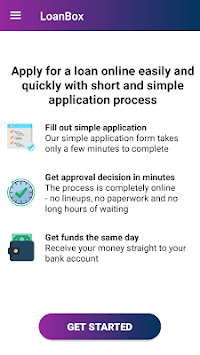 This app provides customers with fast access to the funds and giving the freedom to address most of their financial needs with one application. Whether you are at home or on the go, with LoanBox you can apply for cash loans online. 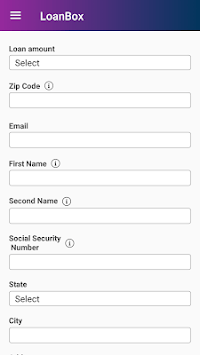 Our simple application form takes only a few minutes to complete. The process is completely online - no lineups, no paperwork and no long hours of waiting. Receive your money straight to your bank account. With this app, you can borrow money in few hours. The money will be deposited quickly and safely into your bank account. Online loans include several types of loans and are distinguished by their speed and convenience. To get a loan online, it is enough to have access to the Internet and meet the basic requirements (age, income, etc). Using LoanBox, you can quickly and easily get any type of loan, whether it is a payday loan, personal loan or installment.